Download this page to accompany your travel/education request. 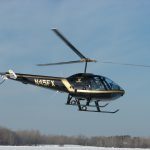 The Helicopter Safety Alliance hosts Helicopter Safety Stand-Downs that provide continuing education for pilots, maintainers, and managers of small operations. We believe that bringing these three disciplines together creates the right environment for learning about current trends in aviation safety and networking with our peers. Regular participation in peer-to-peer education events like this is associated with a significant decrease in the likelihood of having an accident. Additionally, we believe that by managing the risks associated with helicopter operations, the threat of accidents can be further reduced. 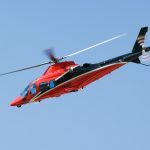 There is no charge to attend, and the HSA Helicopter Safety Stand-Downs are held in conjunction with your local FAASTeam. WINGS and AMT credits are available for attending. A Helicopter Safety Stand-Down usually begins at 0730 with an hour of networking over coffee and danish. The general sessions start at 0830 and include several speakers addressing attendees about ways to improve safety in small operations. After lunch, we split into three breakout groups to cover subjects specific to the three tracks. Sample topics from past Stand-Downs are below. The Stand-Down typically breaks up at 1600. We try to pack a lot into a Stand-Down, and we believe spending a day discussing current challenges in helicopter aviation with your peers will be worth it to you. 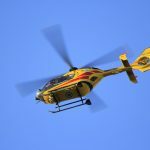 In a recent survey, 100% of Stand-Down attendees responding said they would recommend attending an HSA Helicopter Safety Stand-Down to a colleague. We hope that, just like them, you too can take a day to work on the safety of your operation! Check out our Events page to see our upcoming shows. Registration for Helicopter Safety Stand-Downs is done through the FAA’s SPANS system; for pilots and maintainers, if you are registered for either WINGS or AMT credits, you will be notified of Stand-Downs in your area. See you there! PS: Email me at stan @ helicoptersafetyalliance.com with any questions or feedback on how we’re doing. Thanks!